Welcome to the second interview in our expert interview series. 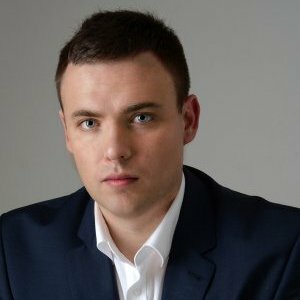 This time we interview Peter Iwaniszewski, Peter started investing in Property after being made redundant in 2008, skip forward to 2017 and not only is Peter now financially free but he also owns a successful letting agency, training company and sources property for other investors. We dive deep into Peters story, pulling out a huge amount of lessons and advice – perfect for anyone looking to invest in property or become financially free. 1. The story so far. SJ: Hey Peter, thanks for agreeing to this interview, would you mind starting by telling us your story so far. Also any long-term goals you’ve set? My name is Peter Iwaniszewski and I have been investing in property since 2008. I was made redundant in 2008 after leaving university in 2006 and I decided to start my journey into property after seeing a seminar advertised on property investment. I attended the seminar and met some other people already investing, and then after learning different strategies, I began to invest myself. I went full time in property in 2009 and currently have various property related businesses. I have set myself a long term goal of continuing to build my property related businesses, as well as looking to support charities through the business as well. SJ: Thanks, Peter that’s inspiring to hear how you came into entrepreneurship after being made redundant. Could you tell us about your journey into Property Investing? As mentioned I started in 2008 by attending a seminar in which I realised that the world of property investment was a lot bigger than I thought. There were lots of different strategies that could be used and lots of events to go to where you could mix with other successful investors. This was the start of my journey. Many people thought It strange that I was starting a property business in the height of the recession, however, I saw the opportunity to progress and make smart investments. From there I began to build my own portfolio as well as helping others do the same through our sourcing service and mentoring programs. I also have a lettings agency now in Coventry which manages my portfolio and other landlords properties as well. SJ: In hindsight investing in the recession has proven to of been a great idea! Especially now the Property market is picking back up. So, what are some of the biggest successes you’ve had? The biggest success I have had is becoming financially free and being able to buy over 150 properties for myself and other investors. I also have been able to help many others become financially free in property through mentoring them. SJ: I also find it useful to hear about mistakes you’ve learnt from, do you have any in particular you could share? I would not say that I have made any huge mistakes however I would definitely say I have learned how to systemise my business better over the years and also have learned what works better when buying property. For example the first couple of properties I bought in 2008 I could probably have negotiated a bit better, and not spend as much on the refurbishment, but you learn as you go along on what to say, do and how to act in certain situations. SJ: That’s true, I think sometimes you have to just start and learn from there. So going back to being made redundant what made you focus on Property? I decided to focus on property rather than other strategies as I believe that over time it is one of the safest investments. As long as you look for high cash flow properties that achieve a good yield you can minimise your risk and make monthly income. The capital growth is the icing on the cake and should not be relied on with rental property. I also like the fact that there are many strategies in property to be successful and I feel you often have more control than other asset classes. SJ: That’s true, it’s all about minimising risk and investing smart for cash flow. What do you think are the most common mistakes or oversights people make in property investing? I believe that one of the big mistakes is that people look to invest for capital growth only. Experienced professional investors look for a high return on investment and monthly return as well as the capital growth over time. Other mistakes people can make is not knowing their area well enough and also not doing the correct due diligence on the figures before they buy. This is key as all the research should be done beforehand because after is too late. You make your money when you buy and then the asset should be income producing as well on top of this. SJ: Thanks, Peter as you mentioned there are ways to reduce your risk so how would you respond to people who view property investing as something that’s very risky or even consider it ‘unethical’. What’s your take on this? I certainly would not say it is unethical. We have helped many sellers over the years get the right price for their property and move on with their lives. We have also housed many tenants looking for accommodation including a lot of homeless people through the council and certain charities. I believe there is an element of risk to anything in life, however, I think property, when managed correctly, is one of the safest you can make if not the safest. This is because you will always have the asset, but can also use the asset as an income generating tool as well. SJ: Thanks, it’s great to hear not only is your business making you money but it’s also contributing to housing the vulnerable. Is there anything you wished you’d done earlier? I don’t really have any regrets of doing anything earlier other than maybe getting into buy to let when it first started years ago. From 2000 to 2007 it was a very good time with prices rising steadily and so I would say starting in property earlier would be on thing I wish I had done. That said, however, it is all about when is the right time for the individual and this is key. 3. What the future holds. SJ: So with that said what do you think the future holds for property investing in the UK? I believe that property is always a strong asset class and whilst there maybe peaks and down periods over time it is a secure investment as long as its managed properly. I don’t think anyone can be completely sure on what the future holds, however the evidence in my area suggests that the rental market will be strong over the next few years and that we should see some steady growth in the market. There are some tax changes on mortgage interest being phased in over the next few years and there is also the stamp duty charge, however, professional investors need to work within the market they are in and adjust accordingly. If they get the right advice from a qualified accountant then they can make provisions and plan for this based on their circumstances. If there is a correction in the economy and prices then as long as we have bought well and the figures stack up, we will be able to ride this wave out and come out the other side. SJ: That’s great to hear, it strikes me when property is viewed over a long time frame a lot of the immediate risks reduce. Many of our readers are looking to become financially free and property is often touted as a way to achieve this. Have you become financially free through property and if so, any advice for readers seeking to do the same? Yes, I am financially free. I would say to make sure you set yourself clear goals that are Smart goals. This is Specific, measurable, achievable, realistic and time-based. I would also say that you need to research your area well and make sure you know everything about this like the back of your hand. This is very important for you to build your own portfolio profitably but also means you become very investible to other investors as well. This can open up many opportunities and allow to build your portfolio quicker should you want to. SJ: Thanks, when I’ve seen property investors really hone down on one area I’ve noticed the power this yields in attracting private finance and opportunities which would otherwise go unseen. Any other specific advice you’d like to offer? I would just say that whatever anyone else does make sure you make an educated decision yourself. There can be negativity surrounding the market at times but there are always opportunities if you become educated and network and mix with the right people. If you have an interest in property then explore this interest and do not listen to others who may try to put you off because they don’t have the courage to act themselves. It is possible to succeed in property I am living proof, so if you do want to look into this field then do not be discouraged. SJ: Thanks Peter, meeting other successful investors was a light bulb moment for me as it made me realise it was possible despite the negativity I was picking up from the media. That’s all we’ve got time for now. Before you go please tell us about Embrace Property and where we can find out more. Embrace property is an investment and lettings company based in Coventry. You can find out more by looking at our website www.embraceproperty.com or alternatively you can email me at peter@embraceproperty.com where I will be happy to answer any questions. I have also written a best selling book which is called Embrace property ‘The Key secrets to property success’. More details can be found here. SJ: Thanks, Peter if anyone is looking to get started in property investing I always point them your way. Thanks for the great interview and well done on achieving so much – I’m sure a huge amount of effort went on behind the scenes.